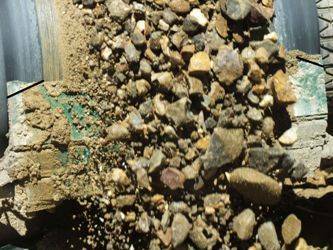 Discussions of improvements to correct conveyor belt cleaning is becoming more of a necessity in the mining industry. Incorrect practice in material discharge and the overall housekeeping of the belt may result in premature failing conveyor components, tracking issues, excessive belt wear and spillage – resulting in a decrease in productivity. This troubleshooting article focuses on the operation and maintenance of primary belt cleaners. With the ever changing weather conditions affecting product moisture content and the percentages of fines, clay and silica present, belt cleaners are becoming more developed and engineered than in previous generations. However, with this new generation of belt cleaner comes a new list of maintenance issues which need to be addressed so that optimal productivity can be achieved. Primary belt cleaners are commonly installed in very adverse locations around the plant. Positions often include at the head pulley of an incline belt, further complicated by enclosed hoods or guards. In some mobile equipment cases there is sometimes no direct catwalk and staff are required to use a scissor lift, work platforms or actually lowering the conveyor to gain access. In other extreme cases, specialist training such as confined space access or working at heights must be undertaken in order to maintain the belt cleaners. However, under all circumstances, for any maintenance work to be completed on a belt cleaner, the surrounding area must be completely isolated and hazard managed. By optimising the life of the belt cleaner, this will result in a reduction in the number of stoppages for maintenance tasks and improve site productivity. Within the mining industry, there are several different materials used as cleaning blades; the most well known and favourable blades being made from polyurethane or tungsten tipped. Tungsten: is a commonly used material in areas requiring extreme abrasion resistance, such as quarries with rocks containing higher silica contents or sands. With a hardness of 1200 BHN, tungsten is substantially harder than mild steel (120 BHN), and capable of withstanding particularly abrasive environments. Due to this higher increased comparative BHN value, tungsten tipped blades on primary belt cleaners should not be installed on belts with mechanical fasteners, as the tungsten may destroy the join, unless it has been properly protected and purposely tailored to run with Tungsten tips. Polyurethane: is a widely used material for belt cleaning applications. Due to its lower durometer, the blade is less likely to cause damage to a splice or belt in already poor condition and is the preferred medium when used on belts joined by mechanical fasteners and cold splices. A blade made from polyurethane has a strong resistance to abrasion and a low co-efficient of friction. This creates reduced drag on the conveyor and little product to hang-up, therefore providing an efficient cleaning system. Being relatively lightweight, polyurethane blades are easier to install (particularly in areas of limited accessibility) with less manual handling requirements and are a contributing factor to its popular usage. Correct mounting is the third point and major contributing factor in prolonging the wear life of belt cleaners. The incline of the conveyor needs to be considered when the cleaners are mounted. Failure to do so will result in the cleaner not correctly scraping the belt, resulting in sticky material collecting between the blade and the conveyor belt, causing inefficient cleaning and premature wear. In some unfortunate cases, incorrectly mounted blades have been positioned in such a way, that they are helping discharge the product, rather than scraping and cleaning the excess. It is recommended that the belt cleaner be positioned below the horizontal line perpendicular to the pulley vertical line, not necessarily parallel to the stringers or conveyor belt. Material trajectory should also be taken into consideration. Experience has shown, that approximately 1 in 3 cases of premature wearing belt cleaners is caused by incorrect profiling of the cleaner against the conveyor belt. With most of the cleaning required in the centre of the belt, where majority of material is being conveyed, (assuming tracking is acceptable); this is the location where most of the wear in the cleaner will occur. Over time, a wear pattern occurs, parabolic in appearance similar to a “smile”. This is due to the parts of the blade contacting the clean sections of the belt and not wearing in comparison to the centre, therefore restricting the rest of the blade from adjusting itself closer to the head drum. Combined with the fact that the belt cleaner may be trying to remove conveyed material from the belt rather than left over carry back, causes the issue regularly witnessed and discussed. In the event of this occurrence, it is suggested that sections be cut off, where the smiling is starting to form, providing a more even cleaning edge, prolonging the blade’s wear life and increasing overall cleaning efficiency. Lastly, the tensioning of the belt cleaner is a key performance factor, and often confused part of cleaning the conveyor efficiently. A common misconception is that if more pressure is applied to the blade, better results will be achieved. This statement is only partially true. 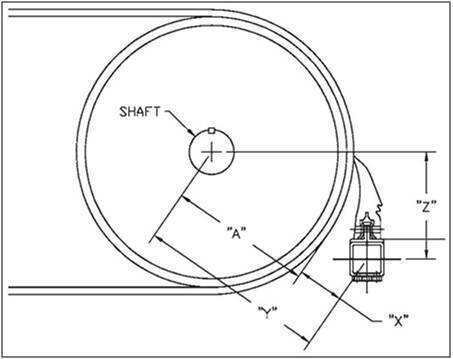 Previous studies have shown that over-tensioning of the cleaner increases frictional drag on the belt, decreasing the wear life of the cleaner whilst also increasing the overall power consumption of the conveyor. If fasteners have been added to the belt to fix tears, over-tensioning the belt cleaner may result in the cleaner being damaged or the fasteners being forcefully removed, further damaging the valuable conveyor belt. Some belt cleaning systems have centralized torque transmitters, engineered to self-adjust and maintain an evenly distributed yet concentrated pressure on the centre of the belt, where the majority of the cleaning is required. Correct belt cleaning should never be an overlooked element in conveyor maintenance. If a well engineered cleaner is installed correctly, considering these 5 factors, not only will the cleaner get optimum life but so will the other associated conveyor componentry, the valuable belt and structure of the conveyor itself. The role of maintenance is transformed from fixing breakdowns to optimizing overall productivity, placing the maintenance function at the heart of the quality improvement process.